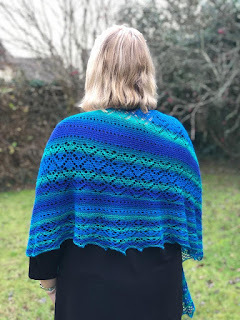 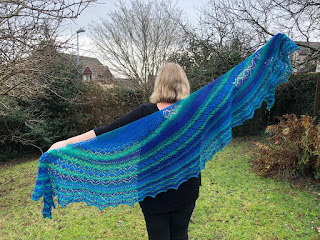 I'm excited to release my first pattern of 2019 - Polbathic. Polbathic is a large crescent shawl which is perfect to wrap around your neck on chilly days. 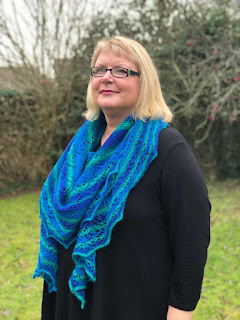 It is worked from the top down alternating between lace patterns and German short rows (link to tutorial included in the pattern) in garter stitch. I used two skeins of Schoppel Zauberball but you can also use Zauberball 100 or Zauberball Cotton. 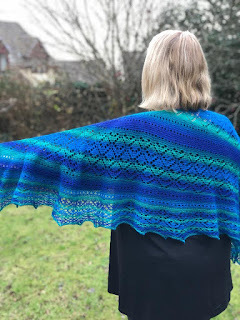 I've listed a few kits including pre-orders for kits using the original colourway. Kits will be shipped first week in February. 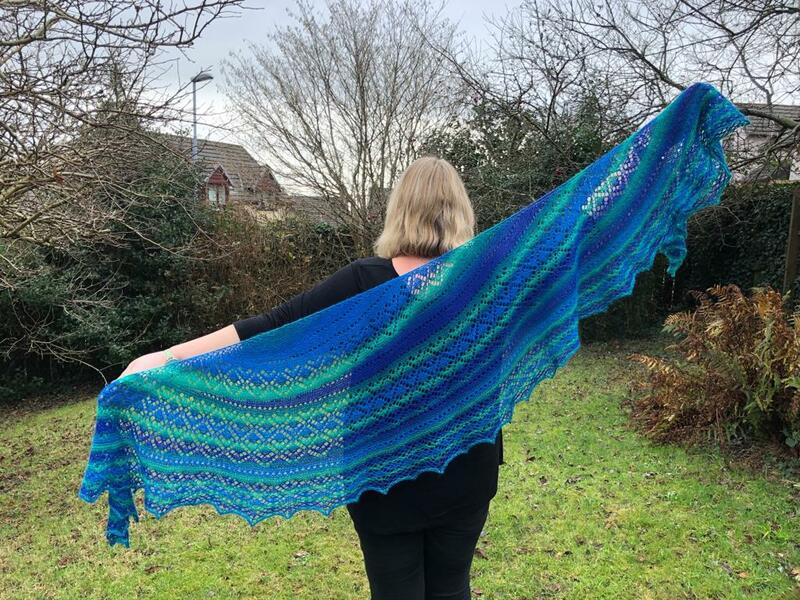 Polbathic is worked from the top down with increases on every other row creating a crescent shape. 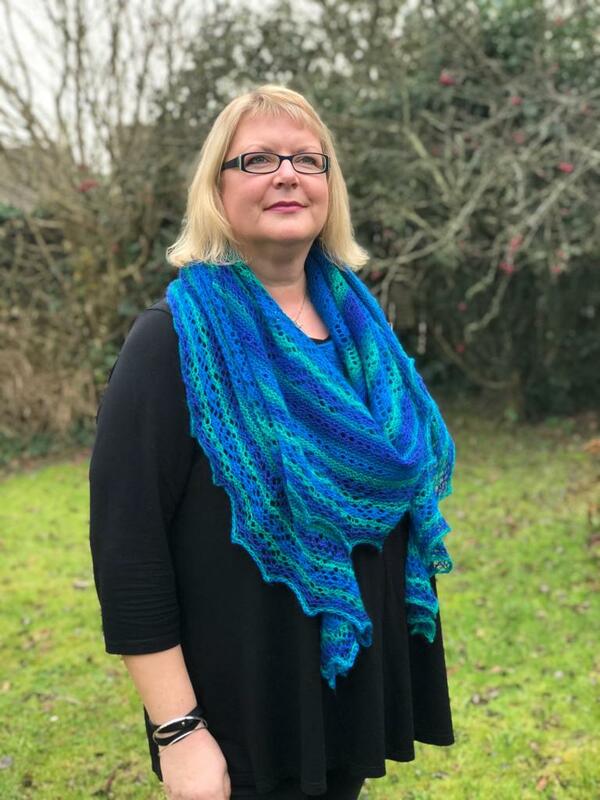 Short rows are added to show off the self-striping yarn. 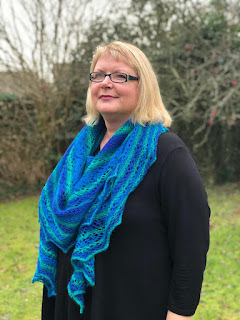 The stitch patterns are a combination of garter stitch, eyelets and lace. 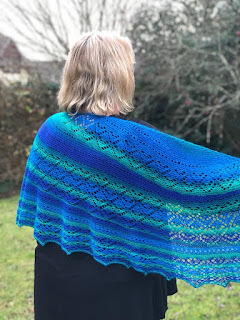 I'm modelling this shawl myself and my daughter, Vanessa, took the photos.